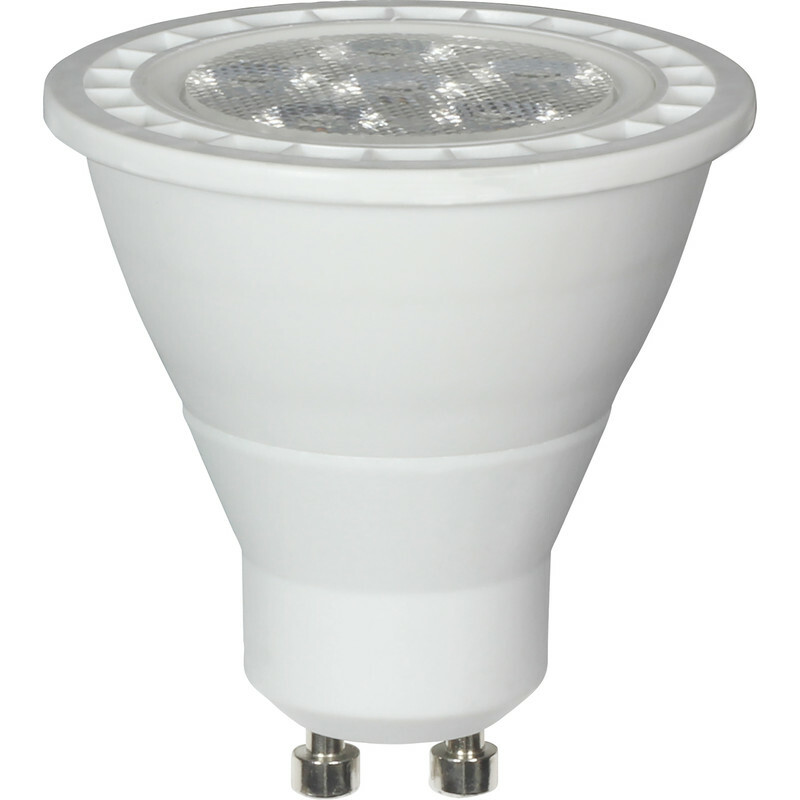 Corby Lighting LED GU10 Lamp 5W Cool White 345lm (5 Pack) is rated 4.3 out of 5 by 12. Rated 5 out of 5 by Barry p from GU10 lamps Very pleased with lamps, really bright. Rated 5 out of 5 by Dizz from Excellent Bought to replace halogen bulbs that keep blowing. Much better. I can see again! Rated 4 out of 5 by Margey from Good Quality, Great Price. A very good and efficient light source. Rated 5 out of 5 by HappySailor from Excellent Bulb Bought to replace original bulbs. We now realise how dull the old ones were. These are much brighter and give out a crisp white light. Rated 1 out of 5 by Potters from No good Used 2 of them as replacements for failed GU10 lamps. They would not lock in place and pins broke off. Bought 3 more from TLC and they fitted perfectly. Corby lamps are faulty and I will be returning ASAP. Useless. Rated 4 out of 5 by everite from Good value but too "warm" for me Disliking the hard bluish light from "cool" LEDs, I bought these but they are rather too yellowish for me. The colour temp is stated as 2700 - so I think I'll keep above 3000 in future. Rated 5 out of 5 by colibee from super saver I purchased these a while back to replace halogen down-lights in my daughter's kitchen. The light output is better than the halogen and softer. There are 3 in use and total wattage use is 15w. The halogen bulbs were 35w each! the saving over time goes without saying.